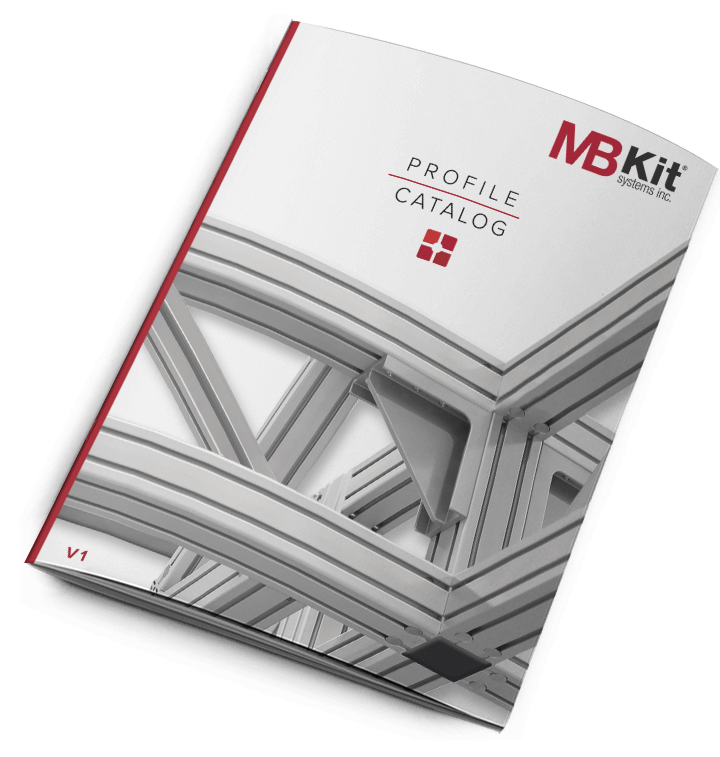 View the hundreds of different extruded aluminum profiles and caps that MB Kit Systems offers in the new MB Kit Profile Catalog. With such a large collection, you will likely find the profile that meets your application requirements. 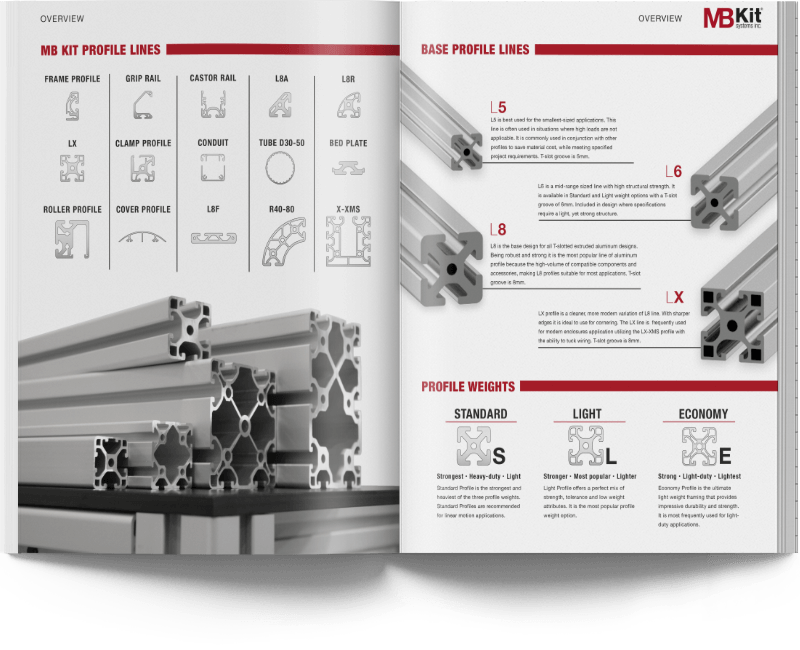 If there is a specific profile you need for a project that is not listed in the catalog, contact us to check its availability. 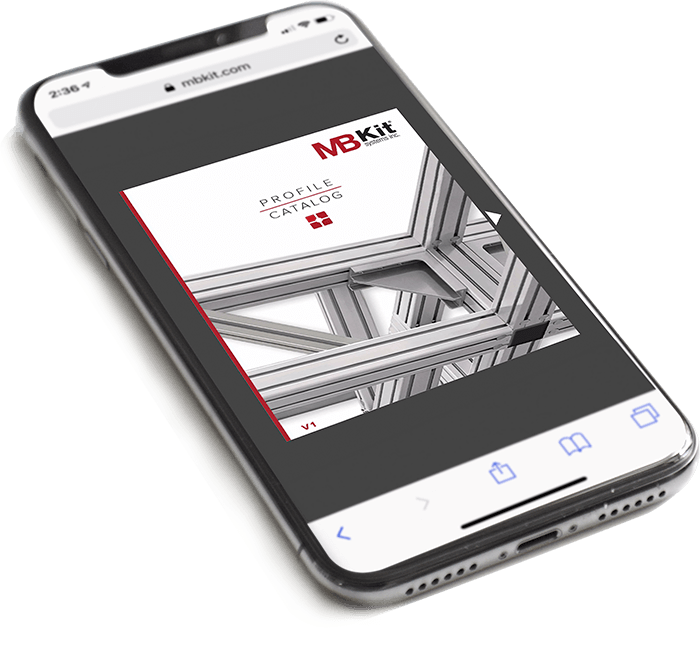 The MB Kit Profile Catalog has been optimized to be viewable on any device. Simply open the catalog and view it when you desire; it is that simple.